Niguliste (St Nicholas Museum and former church) in the Old Town of Tallinn is a strange place that brings to mind the dispute over the history of the Estonian people. 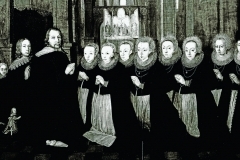 Does the history of Estonians constitute a story of suffering or of survival? Should we define being Estonian through fierce battles of the past, slavery and occupations, or the fact that the Estonian people have emerged from various bottlenecks and needle-eyes intact, with their own language and country? Visiting Niguliste Church always nudges me towards the latter attitude. This building has repeatedly felt the random grinding of the teeth of history. 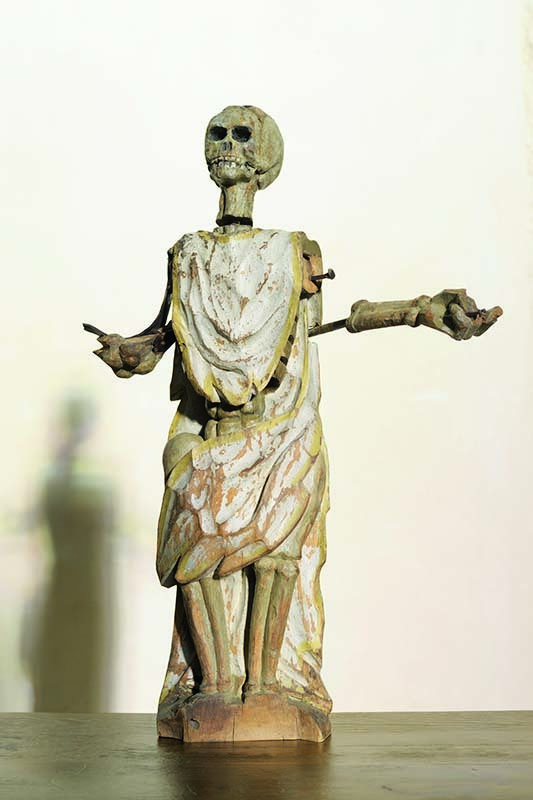 The church was destroyed in WW II, although its main attractions survived, such as late 15th century works made in the workshops of the Lübeck masters Hermen Rode and Bernt Notke: a high double-winged altarpiece and Danse Macabre (Dance of Death), respectively. There was a plan after the war to demolish the church. When it was being restored shortly before Estonia regained independence, yet another fire broke out in the tower. Rode’s altarpiece was taken to Russia for restoration, but Russia refused to return it to free Estonia, and so a few enterprising people brought the unique piece of art back secretly. Standing under the main nave in Niguliste, one can see the whole essence of Estonian history. The grand medieval artworks are surrounded by a meaningful void: places once filled with art destroyed in wars and fires. The church has suffered a lot. Still, it is standing, light pours in through its windows, majestically and softly. Niguliste Church embodies the history of survival. 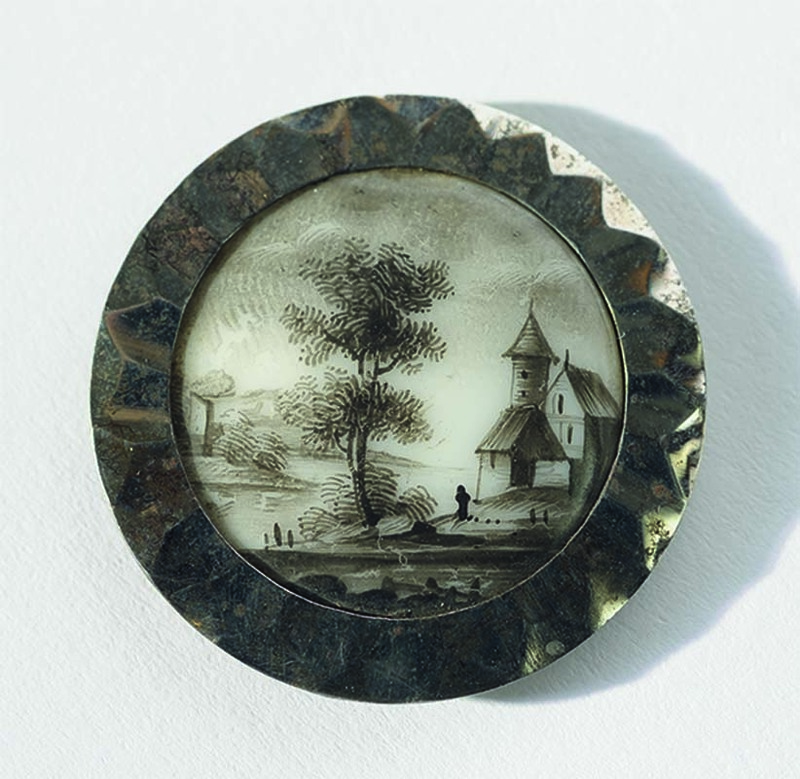 How is all this connected with the exhibition in Niguliste, Ars Moriendi – The Art of Dying? The curator Merike Kurisoo told me how she tried to link the exhibition with the permanent museum display and the surrounding space. 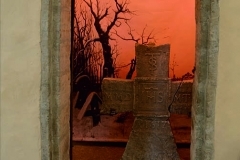 It is significant that the ‘crown jewels’ of the Niguliste Museum – the above-mentioned Hermen Rode’s altar and Bernt Notke’s Danse macabre – also deal with the intertwining of life and death, although they are not actively connected with the exhibition. One reason, according to Kurisoo, is that Danse macabre would most certainly need a separate treatment. On the other hand, it was the church – and in a sense still is – where life and death come close to one another, where the living have to take a peep across the threshold of our daily existence. The exhibition thus has a powerful and congenial background from the start, another plane, a kind of stage depth. The exhibition explains that, both in the Middle Ages and later, man’s relationship with death was totally different from what it is now. Death was much more tightly connected with life, although this relationship began gradually changing, as death moved further from life. 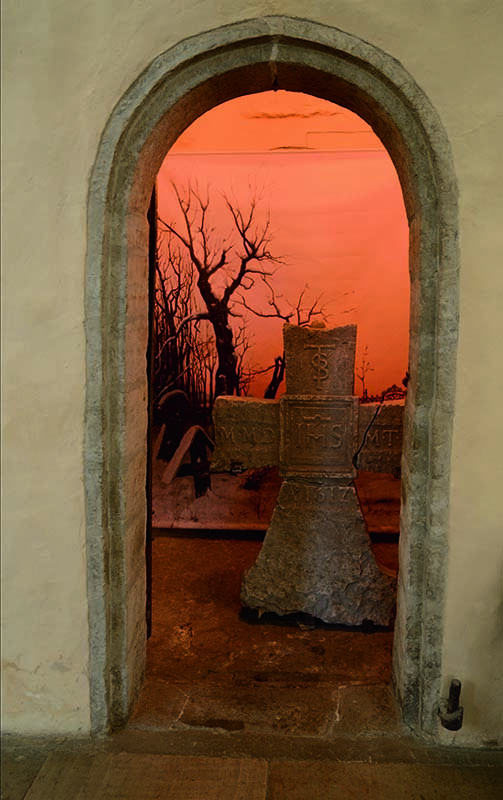 It is strange that although the exhibition does not emphasise the differences between the Middle Ages and today, a contrast still emerges with our present day, when death is no longer a life event for many people. It is quite meaningful that in the medieval times people were not in most cases buried in coffins, but were wrapped in simple shrouds. 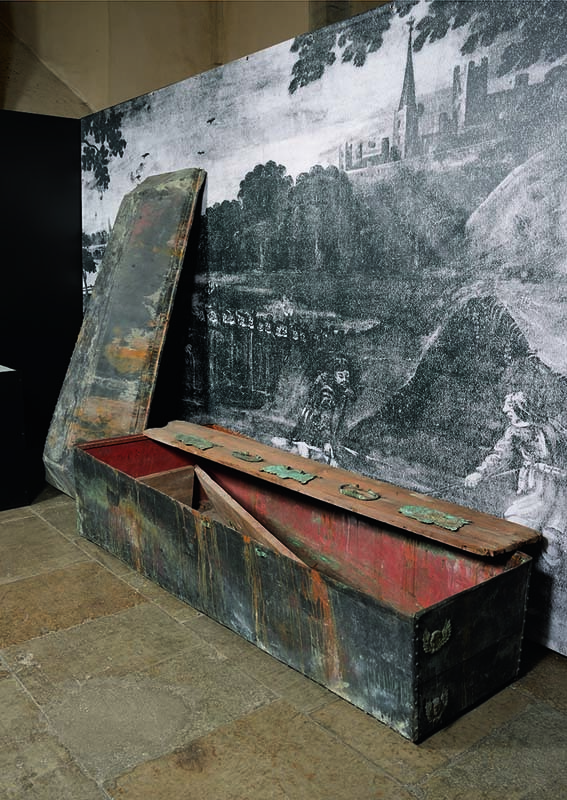 With the arrival of Protestantism, funerals became grander, and more coffins were used. A coffin is the first wall between the living and the dead. The Estonian language uses the word puusärk (wooden shirt) for coffin, which describes the coffin as the last garment, although it is like a small windowless house where the dead person is concealed. The physical distancing of the dead from the living is also symbolic. 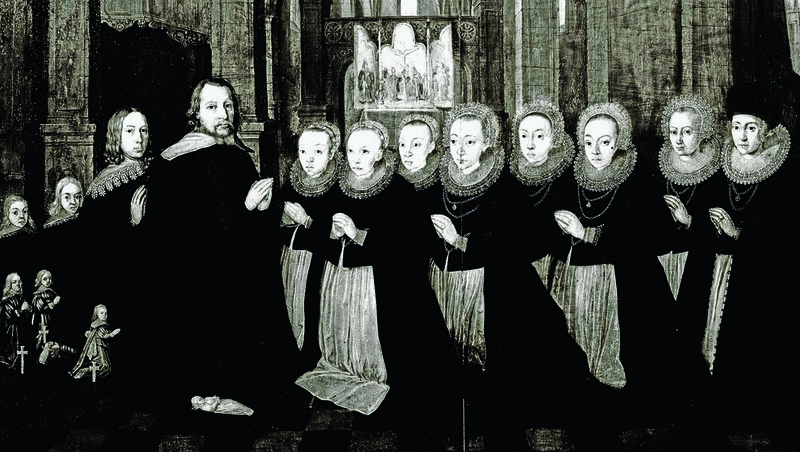 In The Art of Dying, the custom of burying the dead underneath the church floor, also practised in Niguliste, is pointed out. It’s true that the dead were taken to church yards primarily for hygienic, and not for ontological reasons. Today, cemeteries have more or less moved out of city centres, forming half-hidden cities of the dead within cities of the living, separated by walls. 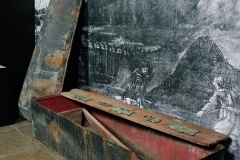 Dying itself has changed as well – one of the most telling motifs of the exhibition is the dying person, surrounded by people, who receives extreme unction and confession inside the walls of his home. 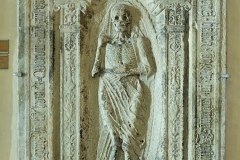 The medieval art of dying was therefore part of the art of living. Memento mori! was perhaps just as popular an idea at the time as today’s imperative of originality, introduced by advertising and TV shows. 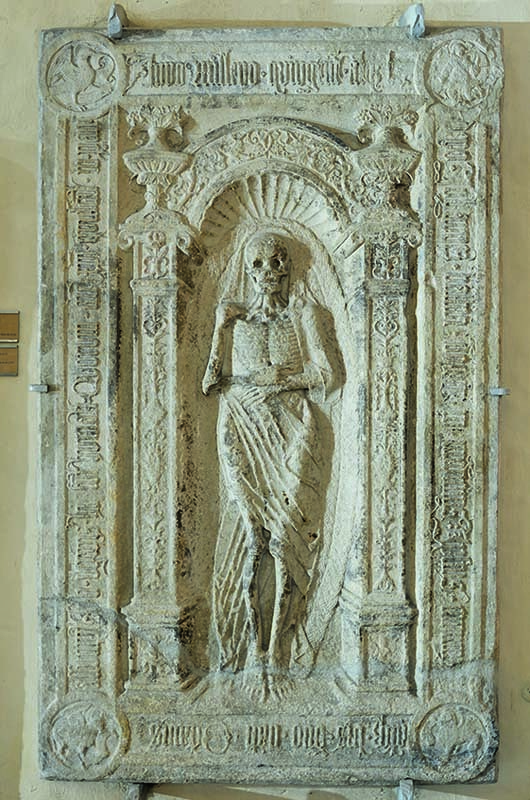 Johannes Balliv’s gravestone from 1520 – a few years before the arrival of Protestantism in Estonia – depicts a skeleton on a death mat. The living thus not only came to the grave to remember the dead, but also to face their own destiny, as it were. All this may well seem too grim in an era when death has been pushed to the margins of life, and it has thus become not part of life, but its opposite. It is possible to claim that Christianity is essentially morbid, and it is somewhat logical that one of the leading motifs of the ‘Art of Dying’ is the Crucifixion of Christ. On the other hand, from the empiricist point of view it might seem strange that in the medieval mindset death signified, in a sense, the beginning of real life, a gate into immortality. Death was not the end of life, but the beginning – which can be seen as reflecting the Platonic idea of physical life as a game of shadows, a kind of unreality. Nowadays, it seems more logical to claim that outside society’s cave walls, only the cosmic void dominates. However, if we blame the old world perception of excessive clinging to death and morbidity, and on the other hand unrealistic expectations about death, a contradiction emerges, based on the contemporary point of view. If ‘The Art of Dying’ and the topic of death are considered grim, this mainly reflects one’s own attitudes. Here we are once again faced with the context of the exhibition, the space in Niguliste Museum. It is white, grand, tranquil and spacious, the Nordic gothic, equally simple and full of light. The light floating around in the church and the empty pews seem to encourage people to ponder, at the end of the exhibition, what death should actually tell the living. I offer one possibility: ‘memento mori!’ is not the opposite of another famous slogan: ‘carpe diem!’ Quite to the contrary, one supplements the other. Amongst other things, the exhibition displays probably one of the very few items that survived the totally bombed out old town of Narva, from the local German church. 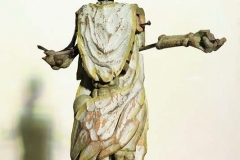 It is a mechanical clock figure from 1666 depicting death. Its movement can be understood in two ways: death certainly appears, although it then slides past. 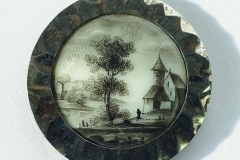 These two motifs are like two sides of the same coin. Thus one possible view of the Art of Dying, strangely enough, suggests the exact opposite of the title of the exhibition. It can be seen as a wish to live your life so that at the moment of death you can appreciate a life lived well. Jan Kaus (1971), MA, freelance novelist and literary critic.